CFS2300 Human retort being rolled into position using Cremation Systems custom caster wheels. 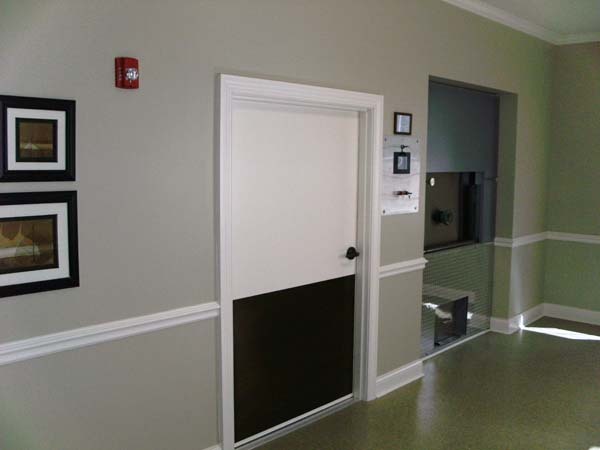 Our install experience makes owning a retort easy. CFS2300 Human Stack installation by Cremation Systems technicians on the roof and at the stack connection point. 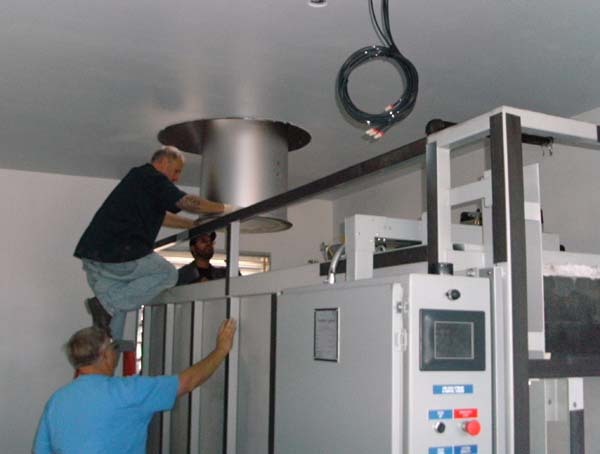 Cremation Systems sends two Technicians to every installation and training on our retorts. 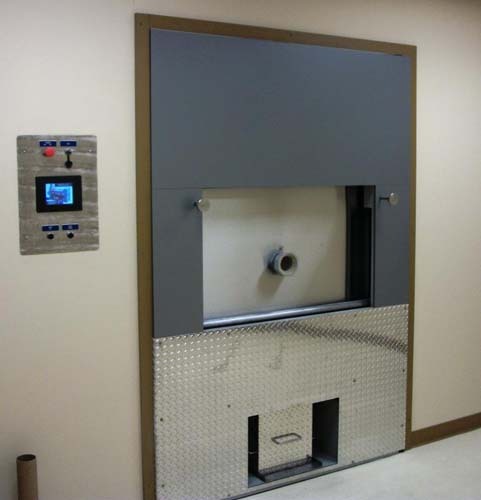 CFS2300 Human and Pet crematory with viewing area. 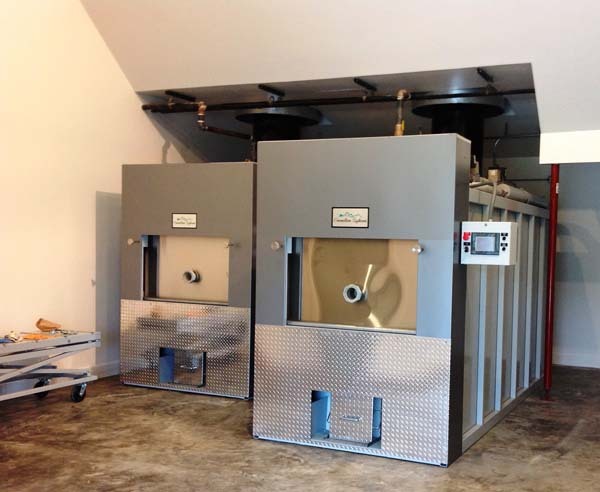 Cremation Systems will install both units for the price of a single unit installation when purchased and delivered together. 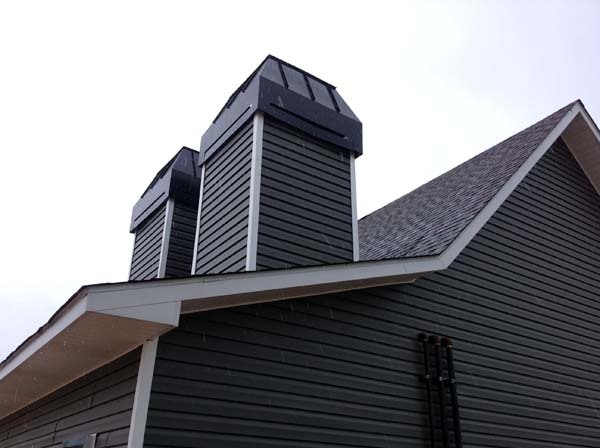 Cremation Systems is the only company to provide decorative stack covers for their retorts. It is important to make your cremation chambers look like gas fireplaces; your neighbors will love you for it. Looking to differentiate yourself from the competition? Create a viewing area to impress your customers and increase your sales. 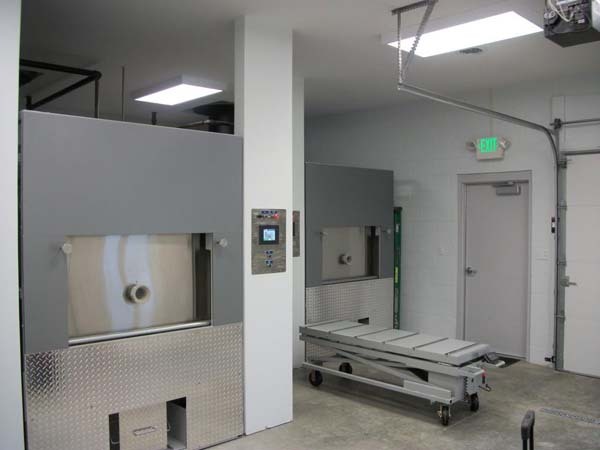 Cremation Systems Armil almost 50 years of custom industrial furnace design and manufacture make most anything possible. 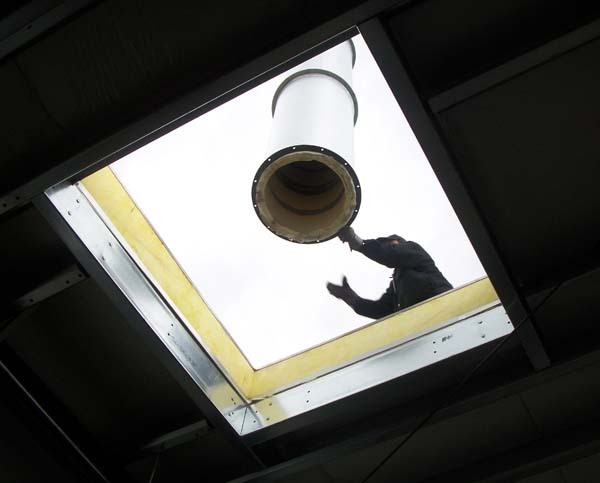 Assembly, commissioning, maintenance procedures, retort operation and first cremation, all delivered by the same technicians who built your unit. 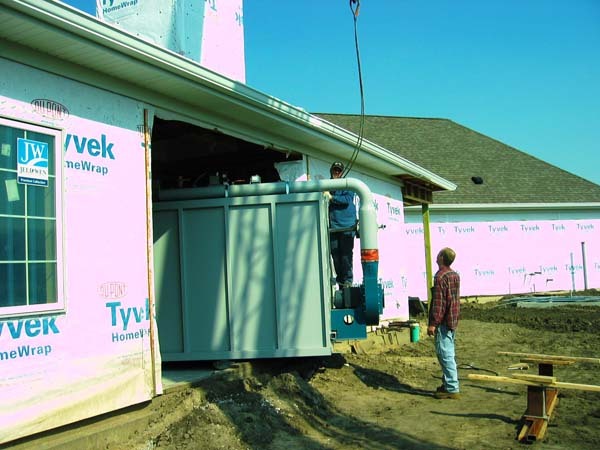 All we require is an 8’x8’ opening, 4 walls and a roof. 2 inch Natural gas line, 240 volt single phase electrical supply and you have your crematory market advantage. 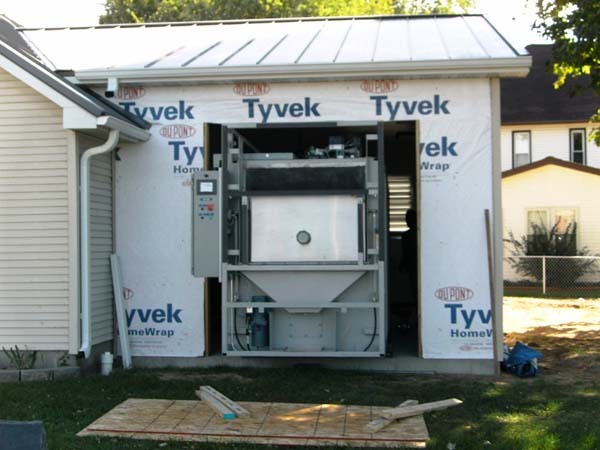 Cremation Systems installation teams have accomplished a number of technical installs. Every cremation market is different, you can trust Cremation Systems to design, build, deliver and install exactly what you need to succeed.